A recent Art Institute online survey indicated that majority of individuals surveyed shot between 21 and 50 digital photos per week. Even if you’re just a casual digital camera user, that adds up to be a lot of pictures floating around on your hard drive. Throw editing, uploading, sharing, emailing, and using photos for social networking sites, and the odds of losing or accidentally deleting some of your favorite photos are higher than most people realize. With the human brain placing such an emphasis on imagery, it’s no wonder we’re suckers for pictures. These images are symbolic of memories, ways to share experiences with distant relatives and friends, and generally irreplaceable. So what do you do when you accidentally delete or lose an important photo? Go online and do a search for “how to recover deleted photos” of course. Thankfully you have a couple options ranging from manually searching, to using photo recovery software to help you recover lost photos. Like most lost files in Windows, start by looking in the recycle bin. It’s not uncommon for photos to get deleted by mistake or accident. The recycle bin should be your first stop to recover photos that may have been accidentally deleted. You basically want to be as general as possible with your search criteria. This will give you the best odds of finding and restoring your photos. If Windows search and the recycle bin fail to provide your lost photos, it’s time to enlist the help of a dedicated data recovery software suite. Data Recovery Pro is specialized software that can help you recover deleted photos.The program relies on the fact that when you “delete” a photo; the information isn’t deleted from the hard drive. Instead, the space where the photo was located is marked as available. So long as no new data is written to the photo’s location, it won’t be overwritten or erased. If you use the software before that part of the hard disk is re-used, it’s easy to restore photos. Computers use the hard drive for many tasks. Your lost photos are at risk of being erased with every activity. Stop using the computer immediately! Do not turn your computer off before trying to recover the file. 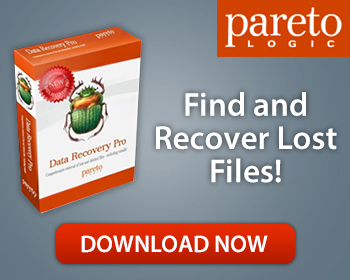 Download Data Recovery Pro. Once installed, the software suite will help you quickly recover your lost photos. Losing photos and memories isn’t fun; thanks to Data Recovery Pro those photos don’t have to be gone forever. If you can’t find a photo in the recycle bin or through searching; use Data Recovery Pro.